For years in North America there was only one question you’d ask yourself when it was time to buy antivirus software for your Windows PC: Do I want Norton or McAfee? 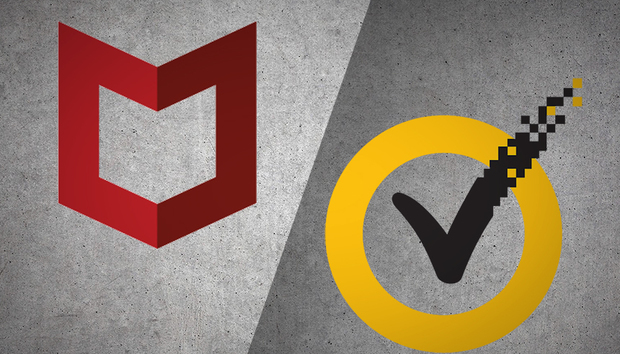 There are far more choices these days (see our complete antivirus roundup for proof), but Norton and McAfee remain two of the top options under consideration today. To answer the question of how these two American heavyweights compare today, we evaluate the nuts and bolts of each one’s premium suite: McAfee Total Protection and Norton Security Premium. Both applications look nice enough and are relatively easy to understand. McAfee opted for a design with a left rail for navigation and an additional menu at the top of the window. 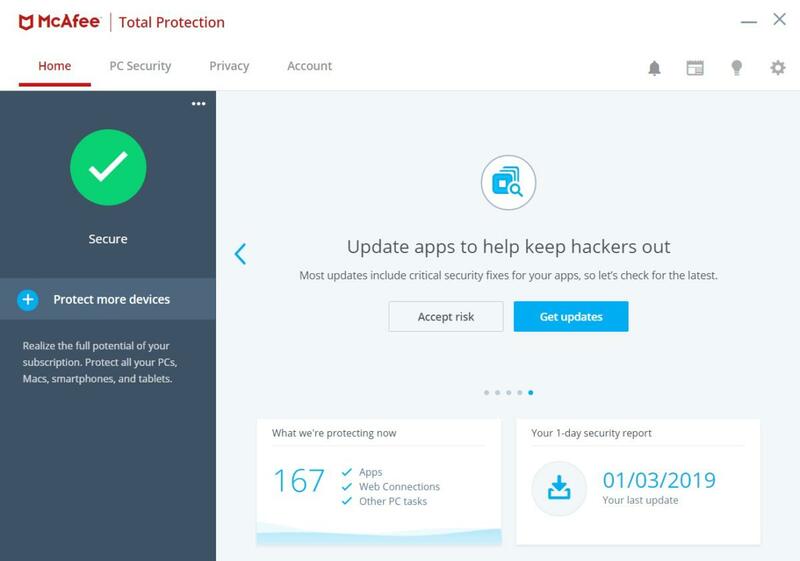 The main part of the window, meanwhile, is where you access most features and see information about your PC’s security status. Overall, it’s a pretty good design, but McAfee’s tendency to split options between the main window and left rail can be a little confusing. Symantec opts for a more tablet-like approach: Norton Security Premium has five panels that you can tap or click on (depending on whether you have a touchscreen) to reveal each panel’s options. It’s a very easy application to navigate with no real issues of confusion. Looking at our in-house tests, Norton performed very well in the PC Mark 8 test based on our most recent review, while McAfee did not. McAfee also didn’t perform as well as Norton in the Handbrake test, which involves taking a 3.8GB MKV HD file and converting it to Handbrake’s Android tablet preset. Norton Security Premium costs $50 for the first year, with a regular price of $110, and covers 10 devices. McAfee Total Protection is a touch cheaper for first-time users at $45 per year, with the same regular price of $110 for up to 10 devices. 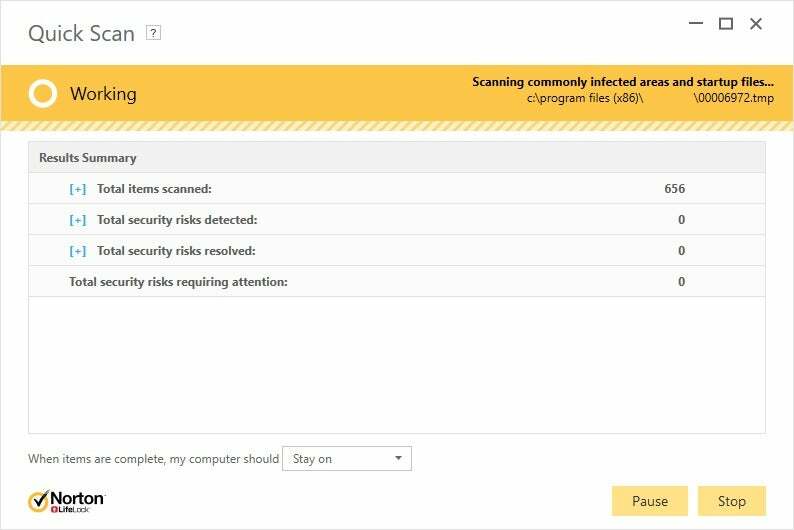 Beyond the basic security scans and online monitoring, Norton Security Premium offers 25GB of cloud backup, a password manager, disk optimizer, file cleanup, and a startup manager. McAfee Total Protection has the True Key password and identity manager, but only for five of your 10 devices, Live Safe file encryption, file shredder, and a third-party application update manager. Some of these features are extra downloads. Both offer a healthy amount of extra features. McAfee’s are a little more practical, though it doesn’t have the cloud backup that Norton offers. Then again, Norton doesn’t offer a file encryption vault as a part of its suite. You can’t talk about an antivirus suite without looking at its protection capabilities. 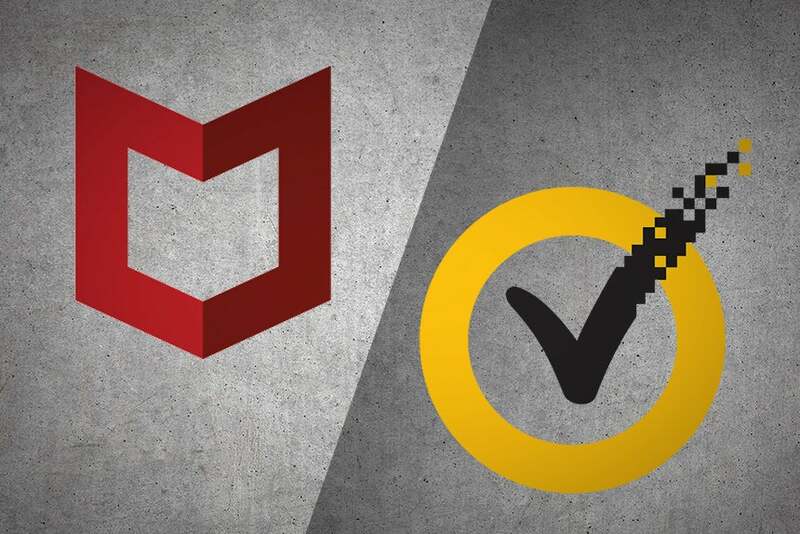 We don’t do our own in-house testing, but of the three testing houses we do follow, both McAfee and Norton were very highly rated—but there are differences. A-V Test rated Norton 100 percent in its September and October 2018 tests, for both 0-day and widespread malware detection. McAfee was a little weaker for the same time period on the 0-day attack, hitting 99.4 percent in September and 98.6 percent in October. McAfee scored 100 percent on the widespread malware test just like Norton. For AV-Comparatives, its real-world protection test ran from July to November 2018. Norton consistently scored between 99 and 100 percent, with about four false positives. McAfee’s range was 98.5 to 100 percent, with fewer false positives. The Malware Protection test from September 2018 saw Norton hitting a 99.9 percent online detection rate, a 100 percent online protection rate, and an 81.5 percent offline detection rate. McAfee scored a 99.8 percent online detection rate, a 100 percent online protection rate, and a 84.8 percent offline detection rate. Finally, SE Labs gave Norton a AAA rating for its July through September 2018 report, while McAfee received a AA grade. SE Labs said targeted attacks (where their experts tried to hack a system) were more of a problem for McAfee and others, while Norton was in a group that handled both targeted and widespread malware more effectively. McAfee and Norton are very close in protection rates overall, but there are a few significant areas based on the testing above where Norton performs just a little bit better. 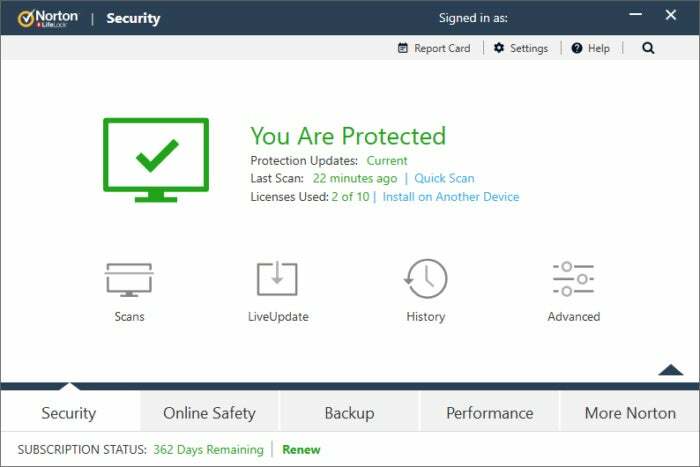 No surprise here, but our top pick is Norton Security Premium. McAfee has some extra features to recommend it, and its protection levels are very good. Taken together with the quality of the desktop app, the extra features, the protection and the performance, however, Norton is our winner in this close showdown.